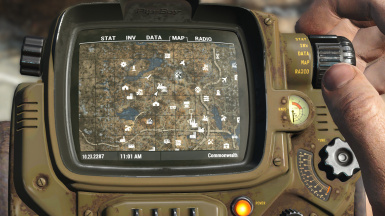 A replacer for the pip-boy World Map, available in 8k resolution, that gives an aerial view of the Commonwealth as it looks in game. Made using the game's LoD meshes and textures, among other things. 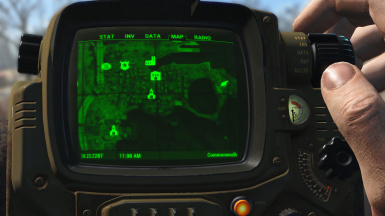 It also extends the boundaries of the pip-boy map, showing some of the landscape that lies outside of the playable area. The mod is available in both full colour and monochrome versions, and there are optional files using a 4k texture rather than 8k. While these are lower quality they allow you to zoom out further on the world map. It's mainly a personal preference, as there shouldn't be any noticeable performance impact when using either version. 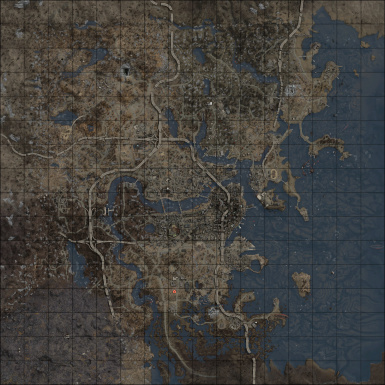 Enable SatelliteWorldMap.esp using a mod manager or manually. 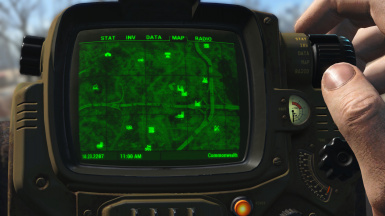 This will force your pip-boy text colour to white, which is annoying but sadly unavoidable. 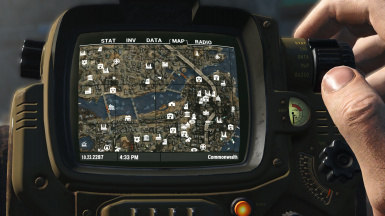 Your HUD colour will stay the same, though.